Vapor Apparel Solar, short sleeve unisex t-shirt made in a 140 gsm material which is lightweight, comfortable, a dream to wash and dry, and which offers protection against the sun! 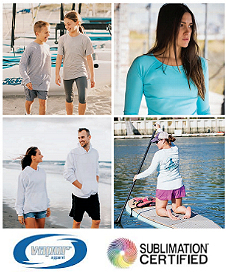 The fabric offers UPX50+ solar protection to prevent the sun’s rays from penetrating through to your skin (the Vapor Apparel Solar range has received The USA Skin Cancer Foundation Seal of Recommendation). 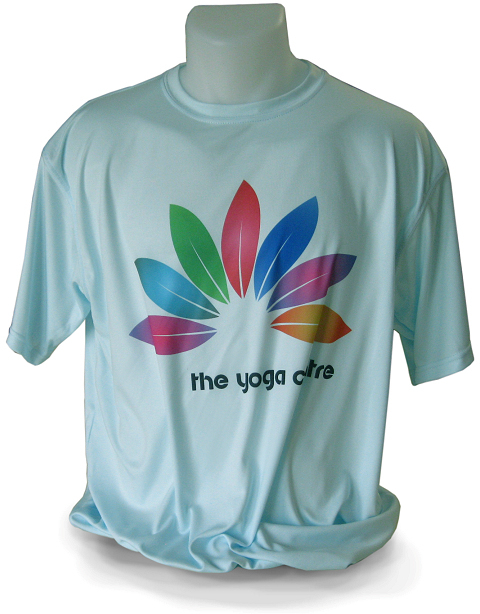 Additionally the fabric is powered by PURE-tech™ moisture wicking and M-Shield anti-microbial technology - read more on the unique properties of this t-shirt. The Vapor Solar collection is available from stock in the UK in white, arctic blue and pale yellow in sizes XS to XL. The Transfer Press are the official UK distributors for Vapor Apparel Europe. You can download their catalogue and check out prices here. 50 seconds at around 190º centigrade.